The little ringed plover is a rare breeding bird which migrates to the UK for the spring and summer where around 1200 pairs will nest, normally on stony ground close to shallow water. Of those, at least one pair regularly nests at Aggregate Industries’ Chard Junction sand and gravel quarry in Somerset, which are accommodated for with a number of suitable nest sites, all well away from the operational area. This year, however, the birds choose to forgo their usual residence and rather opt to nest close to the face of the ground that was due to be worked over the summer. Cue an intervention from the Aggregate Industries team, with the Quarry Manager changing the direction of extraction and works in order to ensure the nest remained safe and undisturbed, while a local birdwatcher also monitored the nest from a nearby footpath. To add to the challenge, after only one youngster survived from the first brood, the quarry’s treasured temporary residents choose to have a second brood meaning their stay lasted far longer than expected before eventually returning to Africa for winter. The ensuing disruption proved more than worthwhile though for the dedicated quarry team when two youngsters fledged the nest successfully late summer and quarry operations were able to return to normal. 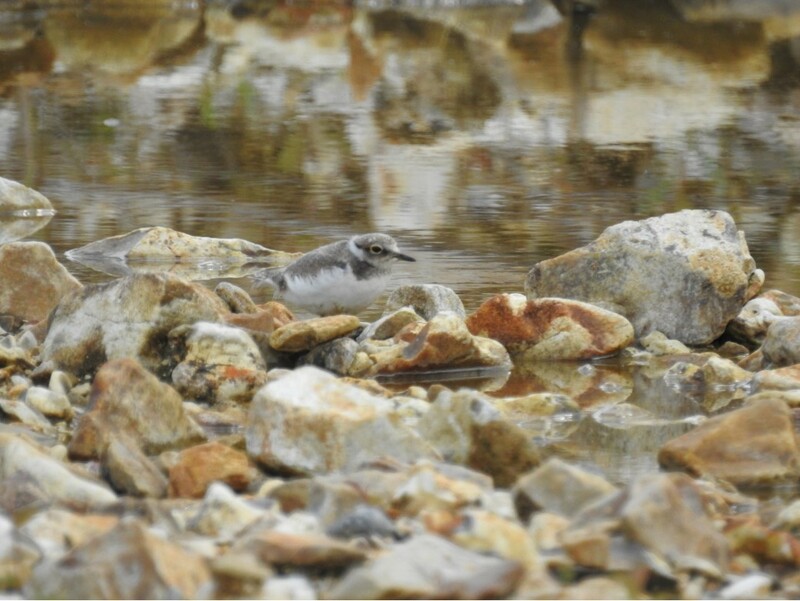 Simon Wiltshire, Biodiversity and Restoration Advisor at Aggregate Industries comments: “Little ringed plovers are a beautiful and rare species of bird which have a high level of protection – that’s why we have specifically developed a number of suitable nests for them on our site. “This year, however, it seems that our annual summer residents decided to up ranks and reside much closer to works which, of course, meant we immediately adapted our extraction plan to make sure we kept out of their way. After their arduous journey from Africa, after all, the least we can do is make sure they are kept safe and sound while trying to breed."